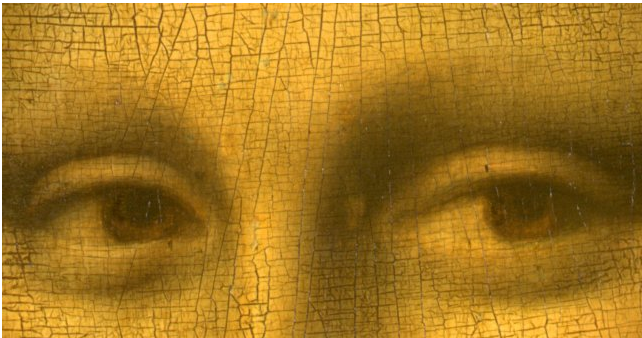 Researchers Find Symbols in Mona Lisa’s Eyes: Mystery or Hoax? Can you make out the “L” and “S” in her irises? La Gioconda, as the painting is called in Italian, has always been a mystery. 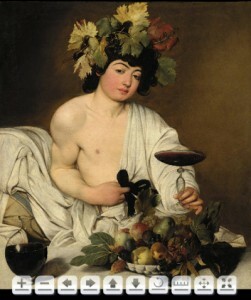 Still, I’m not so sure this find really sheds any new light on the 500-year-old masterpiece. Silvano Vinceti and team claim to have spied the letters “L” and “S” in her eyes and the symbolic number “72” in the background. When you look at something a few hundred years old with a level a detail previously unavailable, something interesting always turns up. In this case, though, Vinceti and his team are working off high-definition scanned images from a company called Lumiere Technology in Paris, which specializes in digitizing artworks, and then processed by a lab in Rome. The lack of transparency (pun intended) about the processing is what makes me skeptical. When his colleague Stefania Romano sent me the press packet with the image, I couldn’t make anything out. Before writing back to her asking if they had another image, I looked at their website. In the image you see above, the letters in her mysterious eyes are much clearer – making me wonder which one is the correct shot and whether they’ve been manipulated or not. The Leonardo experts they interviewed were also skeptical about this latest discovery. If they’d only put the hi-res image online even temporarily – like art digitizer Hal9000 has done – or made a video of the stripping process, we could all see whether there’s really something behind those enigmatic eyes.